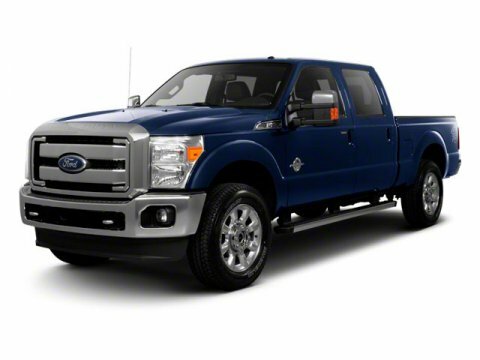 This Ford Super Duty F-250 SRW delivers a Turbocharged Diesel V8 6.7L/406 engine powering this Automatic transmission. Underhood service light, Trailer tow pkg -inc: 7-wire harness w/relays, 7/4 pin combination connector, Trailer sway control. * This Ford Super Duty F-250 SRW Features the Following Options *Tire Pressure Monitoring System, Tilt/telescoping steering column, Stationary elevated engine idle control (SEIC), SOS Post Crash Alert System, Solar tinted glass, SecuriLock anti-theft ignition, Removable locking tailgate w/black handle & Tailgate Assist, Rear seating roof ride handles, Rear door child safety locks, Pwr steering w/steering damper. * Visit Us Today *For a must-own Ford Super Duty F-250 SRW come see us at Bleecker Chevrolet, 1200 E Cumberland St, Dunn, NC 28334. Just minutes away! Certain data and other content displayed herein is copyrighted. All rights reserved. All vehicles are subject to prior sale. While every attempt has been made to ensure the accuracy of the data displayed, HomeNet Automotive and the Dealer (Bleecker Chevrolet Used) are not responsible for any errors or omissions. All information is gathered from sources that are believed to be reliable, but no assurance is given that this information is complete and we cannot assume any responsibility for errors or omissions or warrant the accuracy of this information. * Based on 2011 EPA mileage estimates, reflecting new EPA fuel economy methods beginning with 2011 models. Use for comparison purposes only. Do not compare to models before 2008. Your actual mileage will vary depending on how you drive and maintain your vehicle.